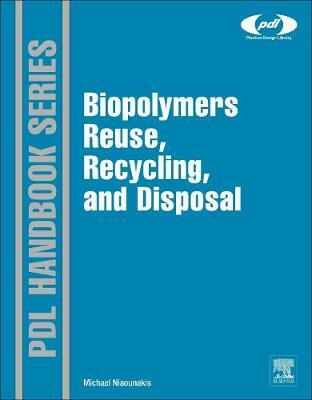 Biopolymers Reuse, Recycling and Disposal is the first book covering all aspects of biopolymer waste management and post-usage scenarios, embracing existing technologies, applications, and the behavior of biopolymers in various waste streams. The book investigates the benefits and weaknesses, social, economic and environmental impacts, and regulatory aspects of each technology. It covers different types of recycling and degradation, as well as life cycle analysis, all supported by case studies, literature references, and detailed information about global patents. Patents in particular-comprising 80% of published technical literature in this emerging field, widely scattered, and often available in Japanese only-are a key source of information. Dr. Niaounakis draws on disciplines such as polymer science, management, biology and microbiology, organic chemistry, environmental chemistry, and patent law to produce a reference guide for engineers, scientists and other professionals involved in the development and production of biopolymers, waste management, and recycling. This information is also valuable for regulators, patent attorneys and academics working in this field.